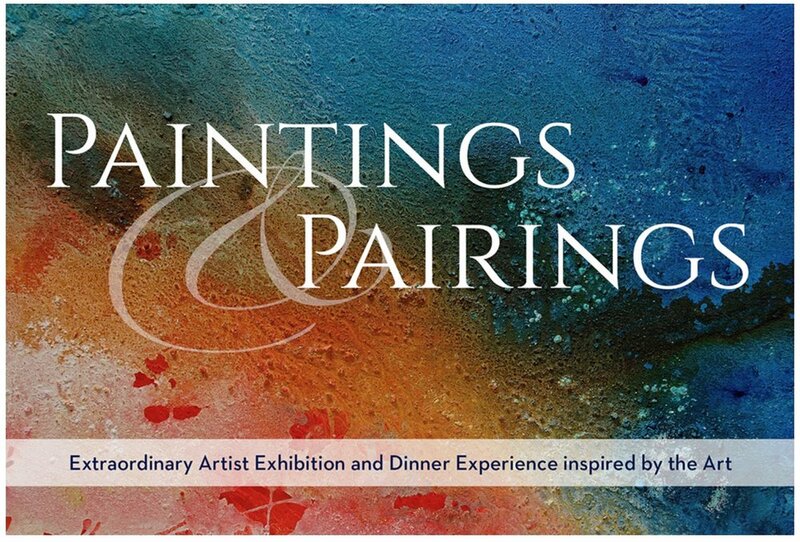 Art appraiser, advisor and curator Lily Yu is combining her love of art with her appreciation of food and wine for “Paintings and Pairings,” a series of dinners featuring the works of a local artist combined with a downtown chef’s cuisine and a Monterey County winery. Yu said she plans to hold the dinners at different locations around the Peninsula. The inaugural event will be a collaboration between painter Paul Seftel and chef/owner Soerke Peters at the Village Corner, located at Dolores and Sixth, Sept. 5 from 5 to 9 p.m. The evening will begin with wine and light bites during an opening reception for “Arts Techtonic, Forces of Nature by Paul Seftel,” including works on canvas and paper, and four outdoor wall reliefs. Born in London, Seftel is an abstract mixed-media painter, using metal, minerals and raw pigment in his works. While his studio is at the American Tin Cannery in Pacific Grove, his work will hang at the Village Corner through Dec. 2. Each of the four courses will be paired with wines from Albatross Ridge. Yu said that throughout the dinner, which is set to start at 7 p.m., Seftel will talk about his work and how he creates it, and Peters will discuss what inspires him in the kitchen. Each guest will receive a copy of the evening’s menu signed by the Seftel and Peters to mark the occasion. Each seat costs $95, including tax and tip.